At the inaugural Igloo Customer Experience conference, 42 nominations were submitted for 7 category awards on Digital Workplace innovation. 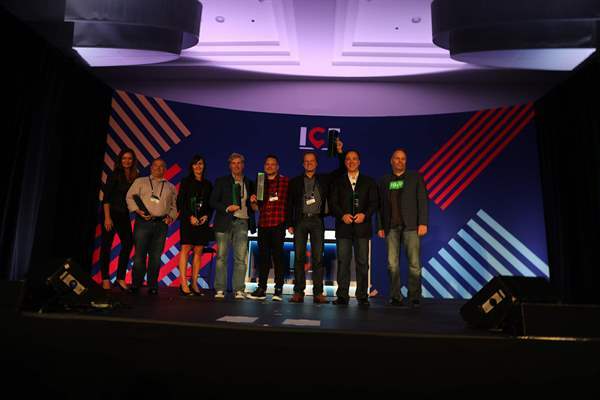 These awards acknowledge Igloo customers for their accomplishments in providing their organizations with a more connected and integrated workplace. The winner of Best Digital Workplace – Knowledge Management is passionate about keeping their digital workplace a single source of truth, especially as it relates to managing client information across multiple groups and stakeholders. Billtrust has built deep expertise in managing and surfacing content related to their clients and customers. They have built one of the most engaged Igloo-powered digital workplaces, and continue to expand with a roadmap focused on integrations. The winner of Best Digital Workplace – Collaboration is focused on bringing subsidiaries, departments, teams, and individuals together to improve the way that work gets done and maintaining a competitive edge. CPAC has structured a hub-and-spoke model on the Igloo platform that connects communities all over Canada to work on projects, share information, and reach employees and volunteers who are involved in working together to defeat cancer. The winner of Best Digital Workplace – Communication has a leading, purpose-built communications structure in place to keep teams effective and employees engaged. Partners HealthCare leverages a multi-way communication vehicle that promotes and drives top-down, bottom-up, and peer-to-peer engagement. The winner of Best Digital Workplace – Culture has carefully crafted a digital workplace that helps to define and uphold company values, engage employees, and provide a strong social connection. Hulu leverages the Igloo platform to creatively engage with their employees and build a deep culture that spans physical and digital workplaces. The winner of Best Digital Workplace – Overall has worked tirelessly to build a digital workplace that embodies all four of Igloo’s core pillars: Communication, Collaboration, Knowledge Management, and Culture. JF Hillebrand has embraced the digital workplace in every way. Analytics and data are being leveraged to constantly improve. Design and employee experience are paramount. Work is being done faster and more efficiently than ever, and we can’t wait to see what they do next. The winner of Best Digital Workplace – Champion is a true digital workplace visionary who has continuously demonstrated an above-and-beyond commitment to digital workplace transformation and excellence. Jocelyn Flint has been instrumental in advancing and achieving her organization’s digital workplace success. The winner of Digital Workplace Trailblazer demonstrates an exceptionally clear understanding and commitment to true digital transformation. Caesars Entertainment is on a digital transformation journey that few can rival. Through amazing cross-functional alignment they have built a well-defined transformation roadmap and have dedicated the time and resources necessary to achieve it. On behalf of Igloo, congratulations to all winners and nominees. The passion, talent, and creativity that we’ve seen within each of these teams and individuals is an inspiring example of how the limits of the digital workplace can be pushed. We are proud to stand beside each of these individuals and organizations as we define the next chapter of digital transformation together.